Google blue-blocking glasses, and you’ll immediately face a wide array of choices. From cheap, orange frames that belong in a science lab to pricer options that are indistinguishable from normal clear lenses, it’s not hard to feel overwhelmed. In this article, I’ll examine whether these claims hold up. I’ll look at three types of blue-blocking glasses and help you decide which technologies are worth your time. Can blue light cause permanent eye damage? For most people, the sun is the most powerful blue light source by far. 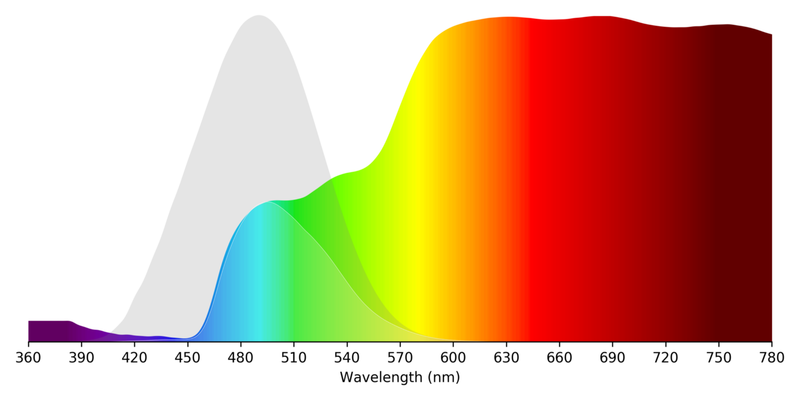 Almost all indoor light, including light produced by computers and phones, is only a small fraction of the brightness of outdoor light. Serious eye diseases, including macular degeneration and cataracts, are unlikely to result from exposure to indoor light sources. 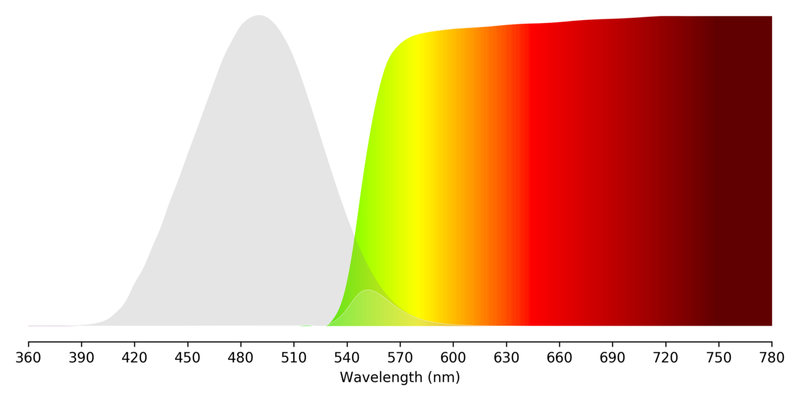 The relative intensity of sunlight vs. a typical LED light. Sunlight is hundreds of times as bright as indoor light. There is a standard eye safety measurement known as blue light hazard. 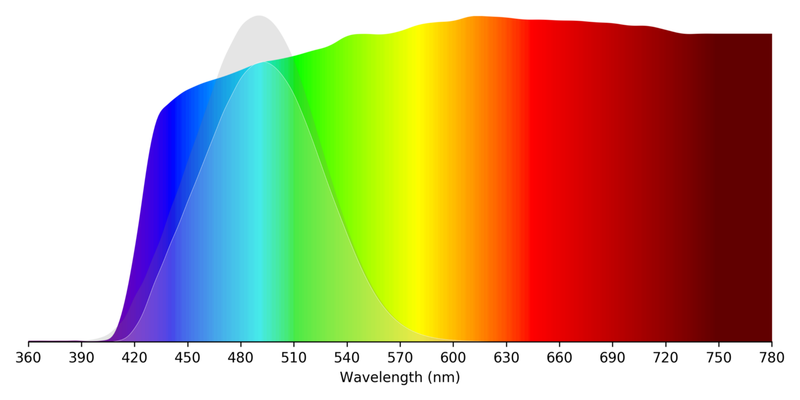 According to f.lux creator Michael Herf, “computer screens have <5% the hazard-weighted irradiance of a blue sky.” In other words, computer screens are unlikely to present a blue light hazard risk. A study published last year by researchers at The University of Toledo claimed that blue light caused permanent, irreversible retinal damage. But further investigation revealed the experimenters likely used an extremely intense light source, perhaps even a laser. None of us are exposed to blue light levels anywhere near as intense. Is it wise to wear quality sunglasses on a sunny day? Absolutely. But there is no reason to be alarmed by exaggerated claims of computer screens causing permanent eye damage. Is reducing blue light effective for eyestrain? Based on our current knowledge, blue light produced by computer displays does not cause permanent eye damage. But can it still lead to eyestrain? According to the American Academy of Ophthalmology, no. A recent study found that blue filters had no effect on eyestrain. While a number of popular brands of computer glasses offer a low level of blue light reduction, this is not the primary reason they can claim to reduce eyestrain. Instead, computer glasses often have a slight amount of magnification coupled with a narrow pupillary distance, making it easier for your eyes to focus on objects a short distance away. So are computer glasses useless? Probably not. But before investing in a pair, try to adjust your display settings and follow the 20–20–20 rule. Can blue blockers improve sleep? Here’s where blue blocking technologies may actually be effective. Numerous studies have shown that too much blue and green light in the hours leading up to bedtime can have an adverse effect on sleep. Although you should expose yourself to significant quantities of blue and green light during the day, at night, you should aim to reduce blue and green. 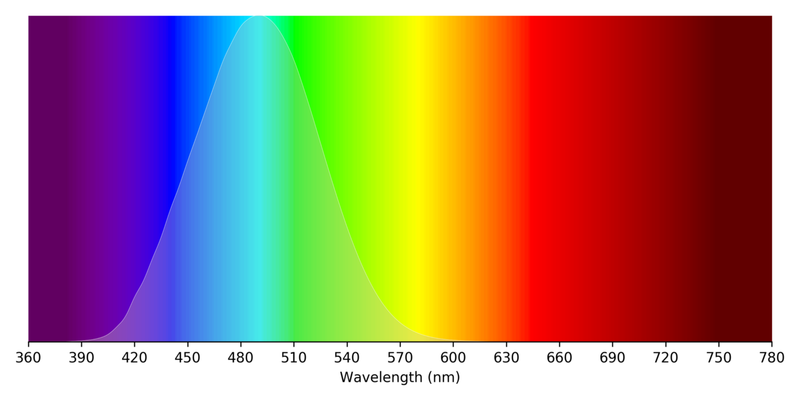 The spectrum of a typical “soft white” LED light. The gray area is melanopic sensitivity. The relative intensity of outdoor light at night vs. indoor light. Indoor light is hundreds of times as bright as outdoor light at night. Even though the LED light is far dimmer than the sun, it is still hundreds of times as bright as moonlight. Almost all indoor light sources produce enough blue and green light to disturb sleep. The right pair of blue blockers can mitigate sleep interruption from blue and green light. In the next section, I’ll cover the major types of blue-blocking glasses. Three types of blue-blocking glasses. 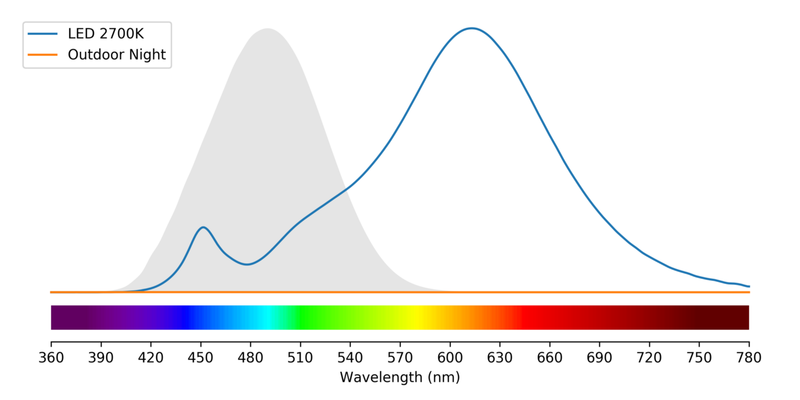 A normalized light source showing the melanopic sensitivity curve. In general, orange lenses are most effective in eliminating blue and green, especially the ones that wrap around. The downside of this design is that everything will look extremely orange. And these frames can be pretty socially unacceptable. For most people, orange-lens blue blockers are overkill. Yellow lenses are typically marketed for computer use, but increasingly also for sleep. They are the closest to f.lux on the default settings in terms of color and performance. Yellow lenses are not as effective as orange if your goal is total blue/green reduction, but for most people, these represent a great balance of practicality and performance. Side note: Even getting half the amount of blue and green is a major improvement. Our Bedtime Bulb still produces some blue and green (4% blue and 17% green), because we found that pure orange/red/amber lighting was impractical for most people. Many would switch back to their old lighting, totally defeating the purpose of the “no blue” lighting. Yellow lenses are similarly practical. Finally, we will take a look at clear blue-blocking lenses, which are also marketed as computer glasses. These lenses look like regular glasses, showing only a very slight yellow tint. 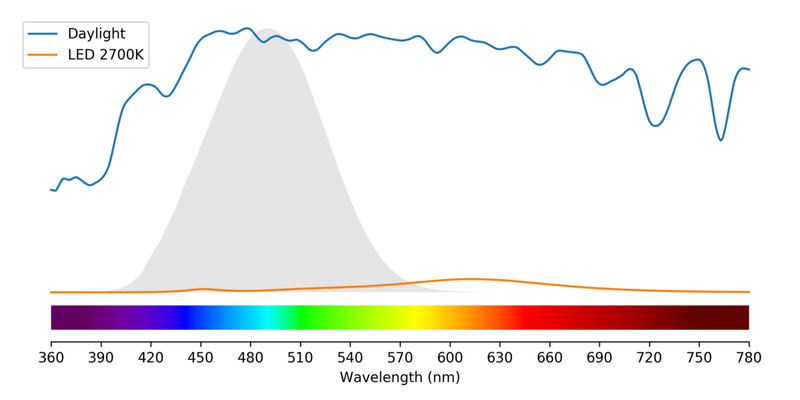 Clear blue-blockers do reduce blue and green, but only by a very small amount. I wouldn’t waste your time with clear-lensed blue blockers for sleep. To see other filter brands, you can use the Filter dropdown. Unfortunately, that database is incomplete, but I think you can extrapolate to other brands and models based on the color of the lens. Glasses are not the only solution. Bedtime Bulb is an effective alternative to blue-blocking glasses. Blue-blocking glasses are by no means the only solution for reducing blue light at night. Using blue light filtering software, such as f.lux, and low-blue light sources, such as Bedtime Bulb, may work better for your needs. Indoor light sources, including phones and computers, are unlikely to cause eye damage. Blue light filters are ineffective for preventing digital eyestrain. The right type of blue-blocking glasses can mitigate sleep interruption from blue and green light. For sleep: orange lenses are the most effective, but impractical. Clear lenses do almost nothing. Yellow lenses present the best balance. 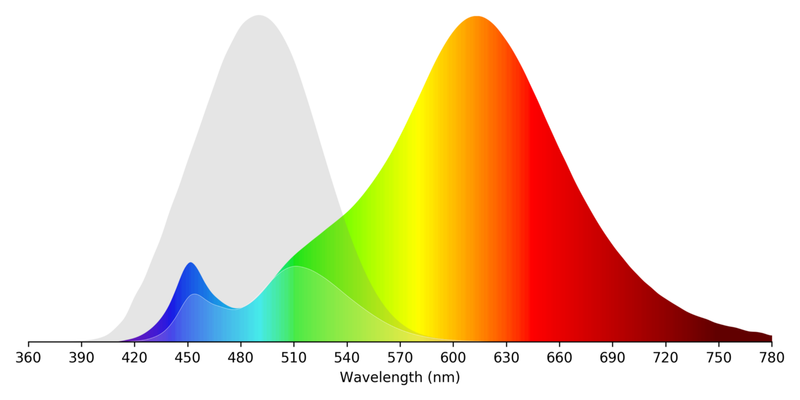 Low-blue lighting (such as Bedtime Bulb) and blue light filtering software (such as f.lux) can have the same effect as blue-blocking glasses. Continuing a lifelong obsession with light, Greg Yeutter founded SimpleBulb Inc. to make lighting simple and healthy. Bedtime Bulb is the beginning of the #healthylight revolution.